OK, so I’ve been very bad at blogging here lately, and I’ve been busy doing a great many things, not least of which is just getting on with all the things in life that prevent one from doing things like blogging about writing, and other similar indulgences… but. It’s nearly the end of 2016, and I haven’t posted for months, and it’s about time I did, so here I am. Writing about writing has taken a back seat, but I have been just plain old writing, oddly enough – I even managed to help raise £3,500 for refugee charity PAFRAS by reading at the Goth City Festival in Leeds, UK, alongside the wonderful Rosie Garland et al (details here, post hoc, because I’m too useless to promote it beforehand). Anyway. It was great, and we rasied money for charity, and I got a good photo out of it too, wherein I resemble a human for once. So, what’s next? I seem to be going to Iceland. There’s a writers’ retreat in Reykjavik each year, going by the name of Iceland Writers Retreat, and I somehow won a place, no doubt through my dashing good looks and fiendish wit. Or my writing. Or luck. Whichever. Anyway, I am extremely grateful for this, and am very excited to be going! I’ll be spending a bit of time wandering around posing on rocks, reciting poetry about ice, or similar. Who wouldn’t? This blog was never meant to be much more than a calling card, with a few links to things and very occasional news, but perhaps the retreat will spur me into engaging more. Maybe people will even read it. O the heady prospects! Mother’s Milk Books recently published another story of mine in the second of what looks like being an annual series of fairy tale anthologies. Normally I don’t review anything I’m in, or anything by people I know, but as MMB are a small press and I have nothing but good words for them, and because I really enjoyed reading everybody else’s stories in this volume, I thought I’d risk a airing few thoughts. I posted my review on Goodreads, so will link here rather than repeat it. The Forgotten and the Fantastical 2, a totally and definitely unbiased review, yep yep. 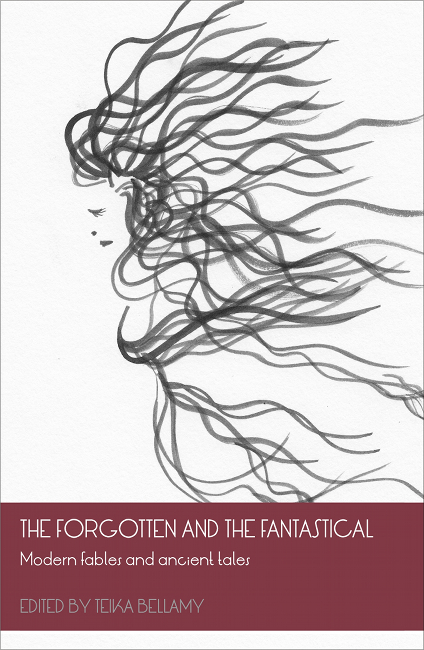 My short story ‘Icarus’ will be in print soon (21st March) in the second volume of The Forgotten and the Fantastical from Mother’s Milk Books. You can pre-order direct from the publisher at a modest discount. TFATF vol.1 is still available too, and includes two of my pieces: The Paper House, and The Boy and the Bird. Currently, subs are open for volume three, so it looks like MMB are running with this series – stories range from new takes on the old, to old takes on the new, and are cross-genre. What they have in common, I think, is a sensibility for a certain kind of storytelling that foregrounds the act of the telling and the ways in which we latch onto what we read. Volume One was certainly interesting, and I’m looking forward to seeing Volume Two when it’s out (at the time of writing, it’s on the way to press). I also want to say thank you to Teika for being a tolerant and keen editor. Icarus is a better piece for her input. A good editorial eye is essential in maximising the quality of your writing, I think – perhaps a blog post on the matter is in order. 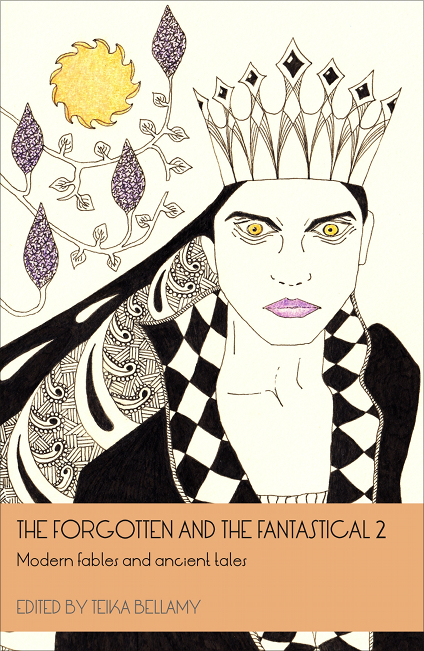 Thank you to Mother’s Milk Books for publishing two of my short stories in The Forgotten and the Fantastical, a collection of fairy tales aimed at adults. Included are eleven stories from nine writers, all treating the idea of ‘fairy tale’ differently. Some are traditional, some not. It’s a really nice little volume, and features some very good writing. Mother’s Milk are a small independent press, and I think that’s something that should be applauded – there are some wonderfully talented people out there who don’t get much of a chance in the mainstream, so everything we can do to help indies and small startups is for the general good of art! You can purchase TFATF in paperback here directly from the publisher, or from your favourite online or high-street retailer. The ISBN is 9780957385849. The UK cover price is £8.99. Do you make New Year Resolutions? Do you stick to them? Me neither. We’re just over 9% of the way through 2015 already, and I’ve no idea how it happened… so maybe it’s time for a stocktake. I want to edit my novella Scissors/Paper/Stone, write more of my short stories based on Greek myth (a sample here at The Bohemyth), and make Nothing’s Oblong available in paperback. Then there’s the secret project I’m working on with another Yorkshire writer, about Yorkshire writers, which will hopefully see daylight this calendar year. Various projects – including this blog – were put on hold last year after the death of a close friend, and picking up the pieces has taken time. But things are moving again. Win! Probably! In the last few weeks I’ve signed two contracts for some short stories for a compilation which will be in print around the end of Q1. I’ll post details as soon as they’re ready. I also had the pleasure and privilege to be interviewed for the Leeds Big Bookend literature festival – a ‘Rock Festival for Words’ no less! – and you can read that here. Thanks to Halima Mayat for the conversation. I skilfully avoided all the cake. I’m still researching and making notes for another novel, set on the Yorkshire coast in Victorian times. There’re a few things that need to be right before I dive in and just write it, but it’s increasingly approaching that dangerous point… no turning back then! Exciting and scary times! Argh! Yay! &c.
I’m considering setting up a small press to promote Yorkshire writers. Details are, as yet, no finer than that, but it’s been on my mind long enough to want to put some proper thought in. We’ll see. Have an excellent February, people of the internet! Books! Buy them! All the books! 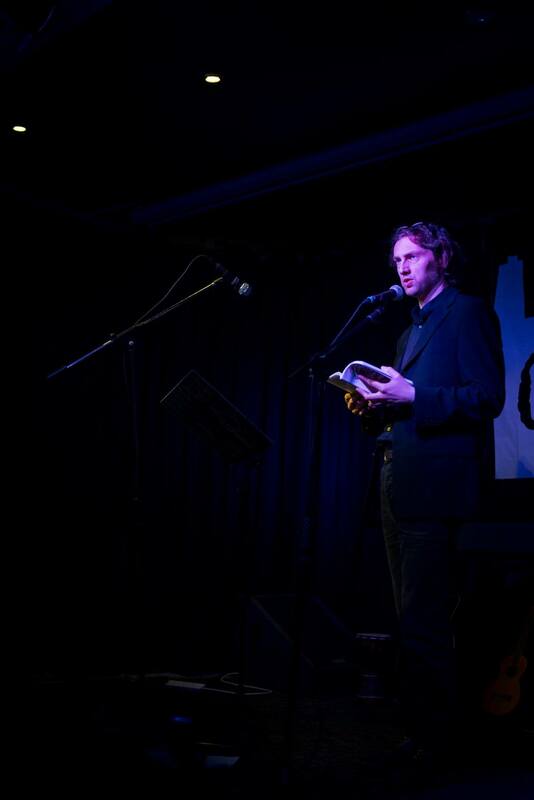 For the sake of decoration, if that’s what one might call it, here’s a pic of a recent reading. Thanks to Nigel Ward for the photo. 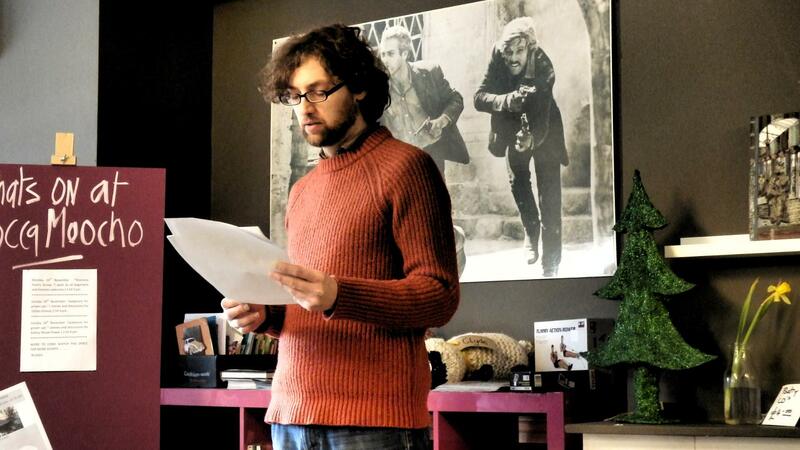 The event is the regular Jackanory spoken word and music session at Mocca Moocho in Wakefield. You can read the review (and buy the book, naturally!) here. Thanks to the folks at The Bohemyth, you can now read my short story Theseus Enters the Labyrinth online. Theseus… is one of a gathering set of short fictional pieces rooted in classical Greek myths – Theseus and the Minotaur being one of the most famous. It’s not exactly a new idea – writers have been using Greek myth as source material for pretty much always – so all I can do is offer my take on it. Robert Graves delivered the stories in a traditional way, retaining the sense of the originals, and I didn’t want to do that. My cues come more from writers like Angela Carter, who used folk and fairy tale (particularly the stories of Charles Perrault) as a basis for a kind of reconstruction of elements, a re-framing of things. That’s nearer my intentions here. I’m also influenced by Jorge Luis Borges, whose short metafictions spiral wonderfully around themselves. Theseus… is an experiment. I hope you like it.